Well, hello there. I’m glad you found me, amongst a billion other blogs in this internet world. I’m Emily, and this is my third blog. Hopefully my last. 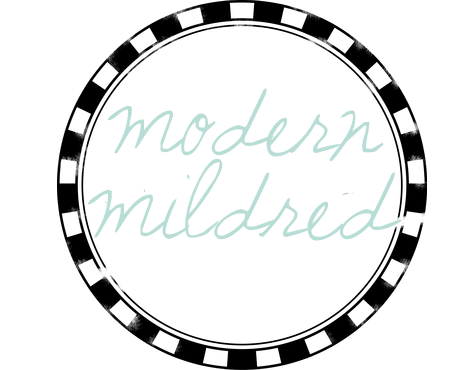 I’ve been waiting to use the name Modern Mildred for just the right time. A time where I felt the name was worthy. You see, Mildred is my grandma, and I’ve been told we share an uncanny likeness. We share an unending love of garage sales, old dishes, and good, clean food. We worry a lot. A lot. And we have stubborn, restless minds. My mom always tells me I am the young version of my grandma; you can see it when we are together. Thus, my family began to call me “Modern Mildred” every time I would do or say something Mildred would say. Not to mention the fact that one of my best friends often calls me Millie, short for Emily, but can also be short for Mildred. It was just meant to be that I would one day have the perfect name for a good blog, right? Now, here you are, wondering what is my purpose. Why am I here? What makes me different from a billion other bloggers in this internet world? A few months ago, I would try to come up with all the ways that I am different. All the ways that I can be more interesting and creative than all of those other bloggers. But now, all I can simply tell you is that I am the same as all of those other bloggers. I am going to post pictures, how to’s, recipes, and home tours, just like everybody else. I am not here to compete. I am not here to show off. I am here because I stinking adore writing. I can’t live without creativity. So if you enjoy what I post, kick your shoes off and stay a while. Maybe even come back every couple of days to see what I’m up to. There is no purpose to this blog except for my pure enjoyment of using the left side of my brain.